Speaking to the Spectator, Transport Secretary Patrick McLoughlin has finally admitted that the HS2 Hybrid Bill will not be passed before the next general election, admitting that “I think one has to accept that perhaps through all its stages within the next 12 months is slightly ambitious,” he said. Continuing, the transport secretary said the legislation would have “started its parliamentary progress” by the time of the general election, but when asked if it would be completed he answered simply: “No”. 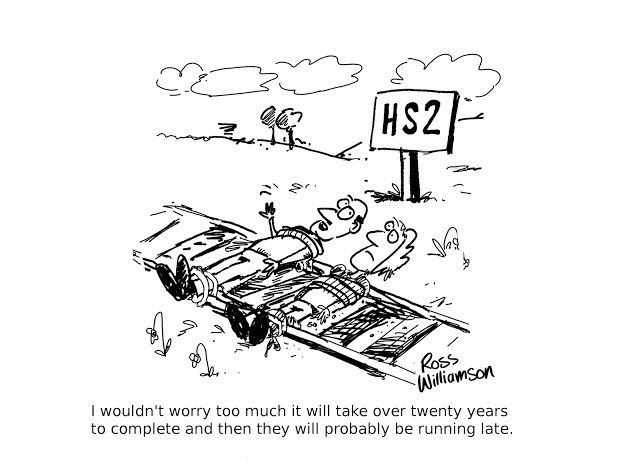 “Patrick McLoughlin has finally said publicly what the Government has known for some time – that they have no chance of getting the HS2 Hybrid Bill passed before the next general election. With more and more people looking closely at the scheme, it’s becoming an electoral millstone. Now that areas like Cornwall are campaigning against HS2, it’s time that the Government scraps the proposal and concentrates on the real transport needs of the country. Local issues you have found. You can petiton well.